Contemporary dual-income households face many challenges from competing priorities of work, family and busy schedules. 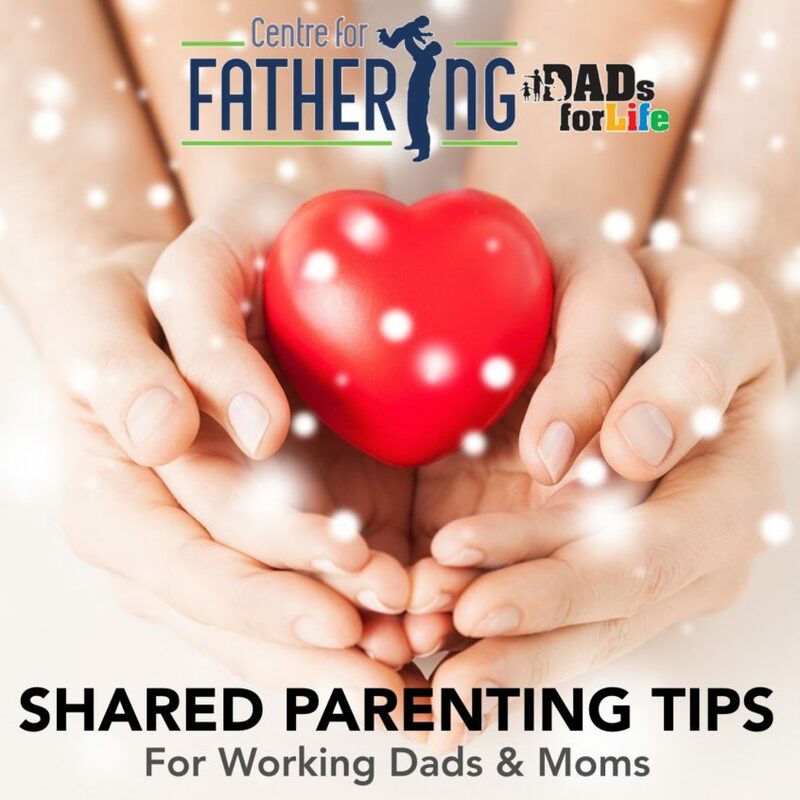 Fathers and mothers can benefit from “Shared Parenting Approach” strategies for growing stronger spousal partnerships so that neither feels alone in the parenting journey; and practical tips on building lasting relationships with your children. 1. Set aside time in your family for father-child bonding. Studies have shown that children develop greater empathy, self-esteem, self-efficacy and cognitive competence when fathers are involved in their families. Know that your presence is valued by your wife and children. 2. Weatherproof your marriage for it is the foundation on which you raise your children. Affirm each other regularly. Tell your spouse how her strengths have positively impacted you recently, as well as influenced the marriage and children’s upbringing. Date your spouse regularly. Do things together without children. 3. Keep communication channels honest and open. Build a robust partnership as parents by nurturing your relationship with your spouse. Be attentive to each other’s needs. Learn to see things from the other’s perspective especially in times of conflict. 4. Love and appreciate your spouse as a partner, and now as a parent. Protect your relationship with your spouse. Honour and treasure the time you spend together. Work to reach agreement whenever there are conflicts. Children thrive when parents trust, love and respect each other. 5. Strengthen your relationship with your kids. Let them know that you cherish them as your children quite apart from how well they perform at school. Talk about a wide range of topics. Ensure that conversations do not revolve mainly around grades and achievements. 6. Do fun things with your children. Find out what gets them excited. Do something spontaneous. Sign up for a Centre for Fathering-Dads for Life (CFF-DFL) parent-child programme at your child’s school, faith community, or club (e.g. SAFRA). CFF-DFL organises activities such as Adventure Camp with Dad, Breakfast with Dad, and Father-child Experiential Workshop. 7. Spend one-on-one time to get to know each child. You may be a father to a flock, but parenting is not herding. Your child is an individual with his own dreams and aspirations. You will be surprised by what he shares when alone with you. Learn what motivates him, how he responds to situations, how unique he is, and grow to appreciate his strengths and personality. 8. Share child-care responsibilities as a couple. Bathe, change and feed your children. Prepare them for school. Bring them to the doctor’s. Have a plan in place to take over your spouse’s tasks if he or she has to attend to urgent problems at work. Your spouse will deeply appreciate your efforts. Your relationship with your child will grow in depth as you take care of him. Listen attentively when he speaks as this conveys that you value him as a person. Build trust by doing what you say you will do. If you suggest going to the beach this weekend, do so. 10. Create space for yourself as an individual. Just as you make an effort to be there for your spouse and children, find time for yourself as a person. Have a hobby that develops your talents or helps actualize childhood dreams. Set aside space in the house to pursue your interests whether it be a cabinet for fishing equipment or a table where you tinker with tools. 11. Be mindful not to carry emotions from the workplace into the family. It takes seconds for your child to assess your mood when you return home. He will either run to you or keep away based on what he senses. Create a buffer zone between your workplace and home so that you can manage the transition well. For example, work off stress by hitting the gym or calm down with a walk. 12. Show your children that you enjoy being with them. Give them lots of hugs. At bedtime, tuck them in and tell them you love them. Choose activities that will deepen your children’s sense of self-worth and security. For example, keep their pictures in your wallet or on your office desk. Take time off to listen to their thoughts. Get involved in their pet projects. Share in what gives them joy. These are powerful ways to affirm. Based on Centre for Fathering – Dads for Life’s Shared Parenting Workshop by Mr Edwin Choy, Therapist, Family Coach, and Co-Founder of Centre for Fathering.